For many of us, stress is part and parcel of our modern lifestyle. We have jam-packed schedules with no time to breathe. In between work pressure, household chores, and social commitments there’s hardly any time left to relax. There’s either an impending deadline you are scrambling to keep or a busy day ahead with meetings, school runs, and grocery shopping. Thus, adding to an already brimming bowl of stress, tensions, and worries. If this sounds familiar, you aren’t alone! Sadly, an astounding 1 in 4 Australians feel stressed today. The Financial Review calls stress the latest workplace epidemic. In fact, it’s turning out to be an expensive epidemic too. The Australian economy loses nearly $11.6 billion annually due to lost productivity from stress and depression according to Medibank Private Research. If high stress levels are getting you down, then it’s time to get grounded! 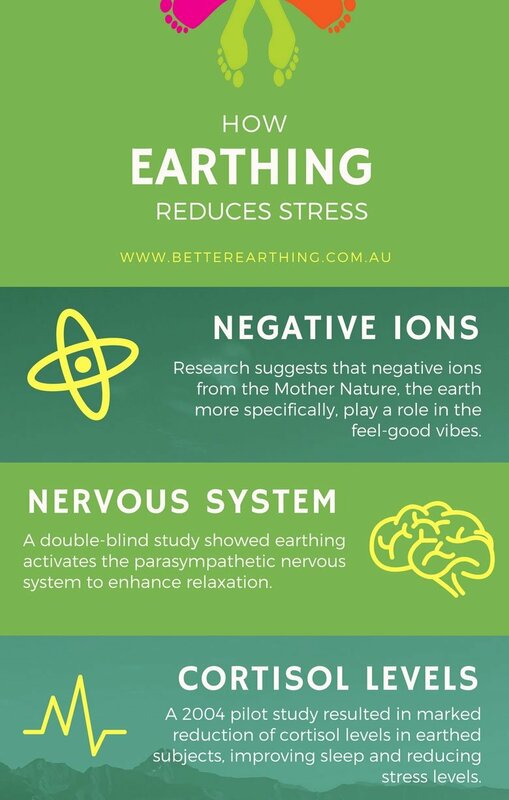 Earthing can reduce stress and its unwanted consequences. The good news is that the scientific community is rapidly catching onto this belief too. Stress is likely to produce several unwanted changes in your body’s natural rhythm, sometimes even medical illnesses. Heart conditions, hormonal imbalances, obesity, and polycystic ovarian syndrome are few examples of such stress-related illnesses. In fact, The American institute of Stress says that extremely stressful events like a divorce or unbearable work pressure is likely to reduce grey matter and shrink the brain. Shocking, but true! Stress is actually the basic fight-or-flight protective response of your body to certain stimuli known as stressors. Stressors could be anything from high workload, deadlines, exams, illness, divorce, to loss of a loved one. During a stress response, your adrenal glands, those tiny pea-sized glands sitting atop your kidneys, secret stress hormones such as cortisol. A stressor is likely to increase your cortisol levels. This is good. You want that to tackle the stress. Once the stressful event has passed, cortisol will go back to its normal levels. What you don’t want are back-to-back stressful events or chronic stress. That’s not good, because such events could keep your cortisol levels perpetually high, and that’s bad in so many ways. Why? Because cortisol does much more than just tackle stress. Firstly, its levels vary throughout the day and night to regulate sleep. Higher cortisol in the morning keeps you awake through the day and vice-versa. Hence, the upshot of persistently high cortisol levels is disturbed sleep or insomnia. Secondly, cortisol works to divide the T-cells at the end of an infection. The T-cells are important members in the line of attack during an infection. Cortisol increases the number cells that suppress the activity of the T cells and reduces their helper cells. Hence, high cortisol levels due to stress can dramatically reduce your immunity, leaving your body susceptible to frequent infections and diseases. Imagine taking a walk by the ocean after work. You feel the spray from the waves and the wet sand between your toes. Those worries from the working day drop away and you sleep soundly through the night. Is the exercise alone that responsible for your inner calm? Research suggests that the negative ions from the earth play an important role in those feel good vibes! 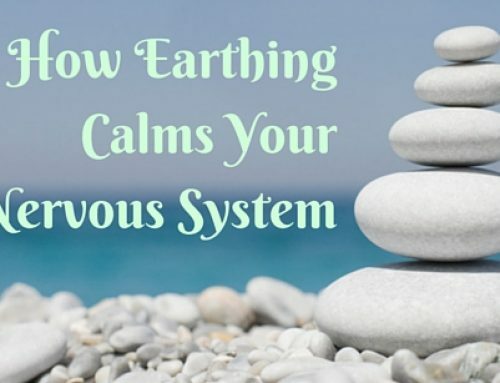 In 2006, Chevalier, Mori, and Oschman published a study in the journal European Biology and Bioelectromagnetics, that concluded that earthing creates a reduction in overall stress and tension. There were 58 subjects in the study, the majority of whom showed a marked positive changes in EEG, EMG, and pulse rates after earthing. In fact, half the subjects showed rapid improvement in these readings as soon as they were grounded. 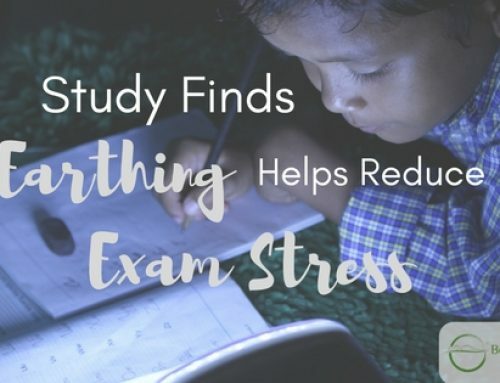 Another pilot study published in 2004 in The Journal of Alternative and Complementary Medicine recorded an improvement in the cortisol levels of the grounded subjects leading to better sleep. 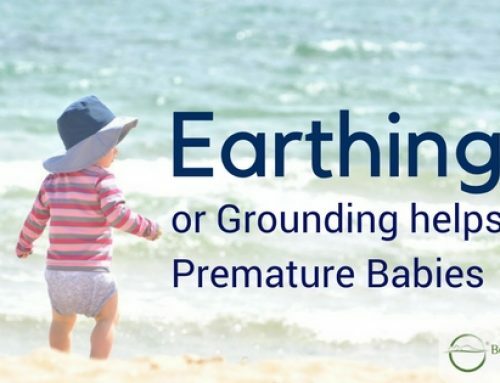 Earthing connects your body to the electrical field of the earth physically. The perspiration on your skin and the water and minerals within your body create a steady bioelectrical connection with the earth’s surface. The earth’s surface is a constant source of potent electrons that pull the positively charged ions within your body to nullify their charge. The positive ions or free radicals lack an electron and are a result of simple and complex activities within your body. Free radicals are always in search of electrons. Earthing or grounding to the earth’s electrical field provides the free radicals with these electrons, thus nullifying their charge. Here’s a quick experiment in physics to show you how grounding your body to the earth works to your advantage. Tear a paper into tiny bits. Vigorously rub a plastic ruler against a dry cloth. Now, hold the ruler over the bits of paper. The paper pieces begin to move up and stick to the ruler. This is exactly how the positive ions within your body react to the earth’s electrical field. It’s astonishingly simple. Ditch your shoes for a barefoot walk on wet grass or soil. Swim in a natural water body like the sea. Walk barefoot on the beach, feel the sand in your toes. Plant an outdoor garden or exercise outdoors. No time to connect naturally? Invest in some indoor Earthing products that you can use while sleeping, watching television or sitting at the computer. That way you can improve your health and wellbeing just by living your life as normal.